The Sower: Vol. 23, No. 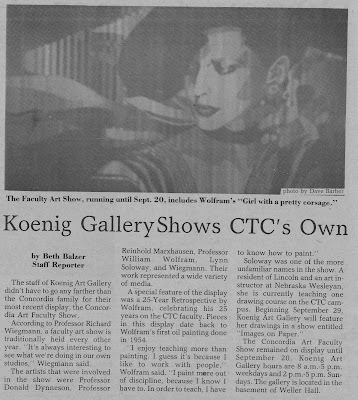 1, page 4, Sept. 25, 1985. 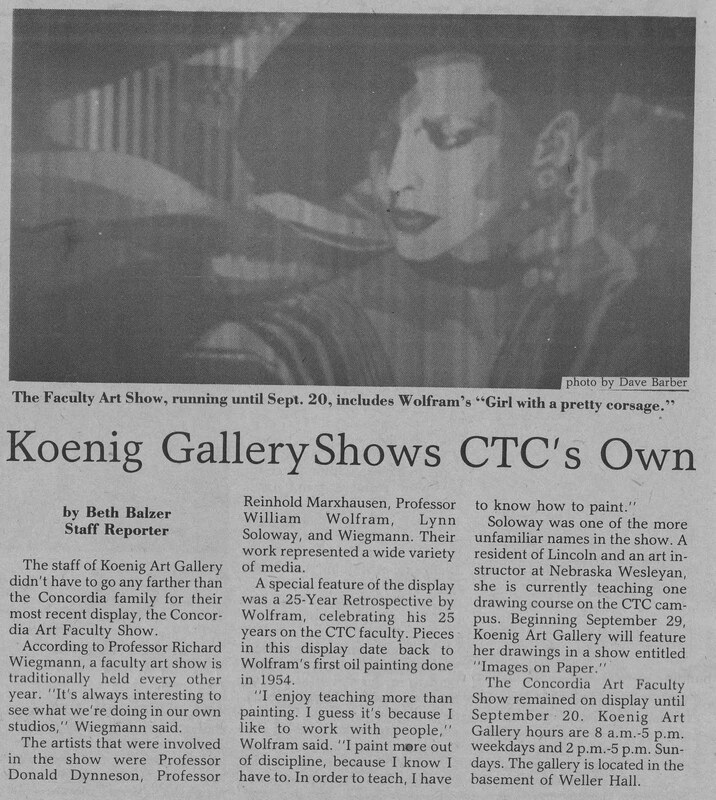 1985 was one of the years where the faculty art show was held at Concordia. It was also Prof. Wolfram's 25th year, and Prof. Soloway's first year teaching at Concordia.